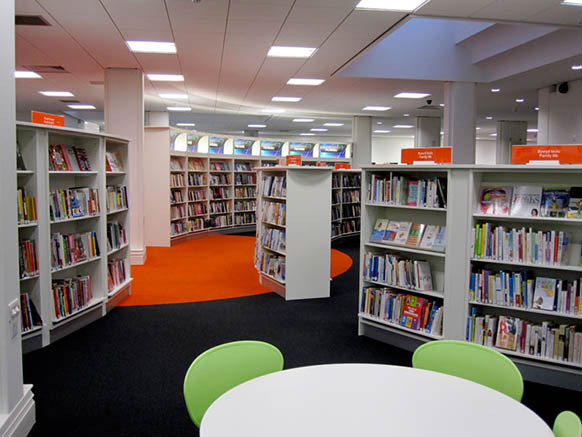 The internal space has been reconfigured to better accommodate a range of activities being held at the same time e.g. 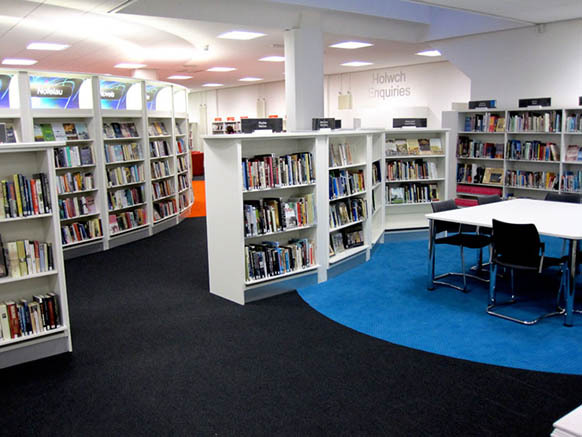 IT classes, children's story times, adult learning activity etc. 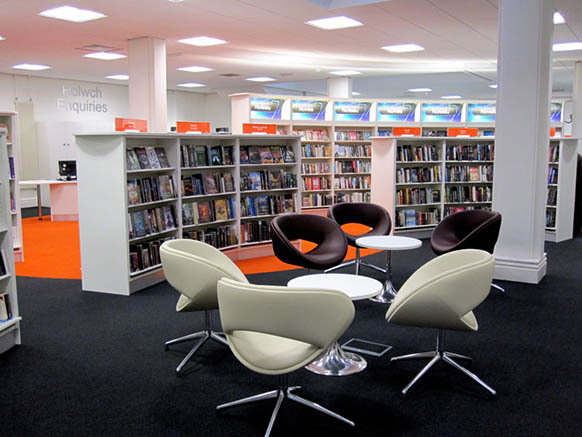 All areas have been refurbished to create light, modern space. 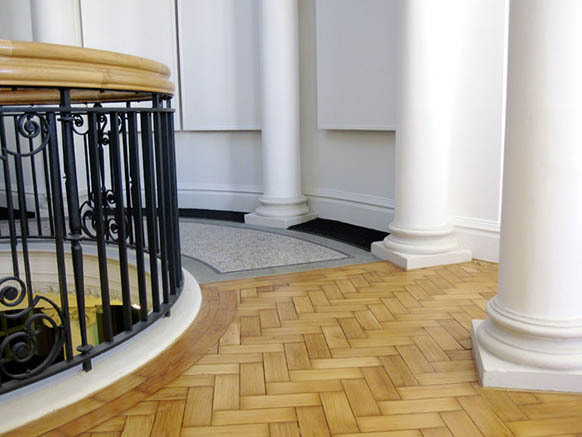 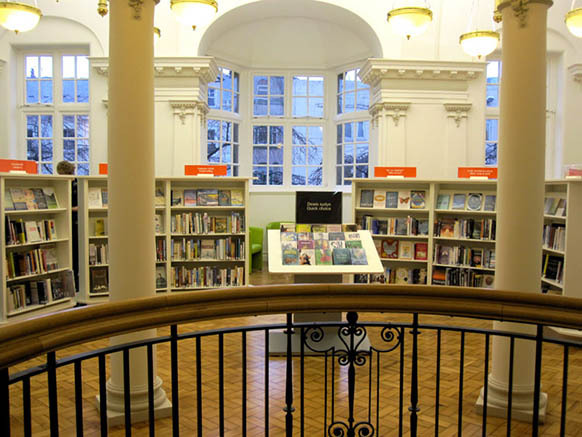 Listed areas have been enhanced, original features on the rotunda and in the former 'Reference library' revealed and restored. 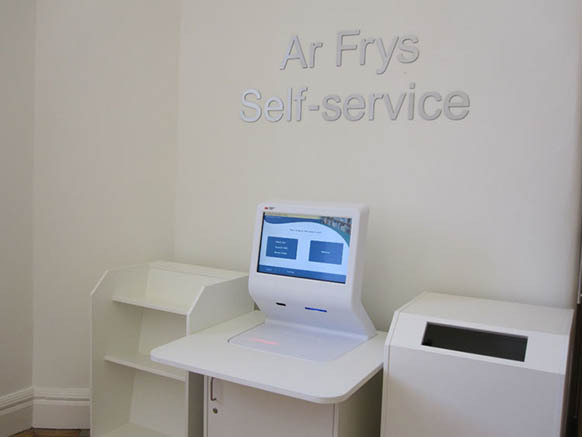 A self service circulation system has been installed to enable more effective use of staff time for customer benefit. 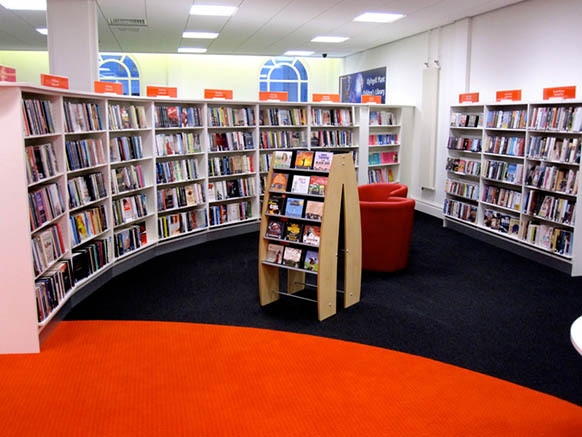 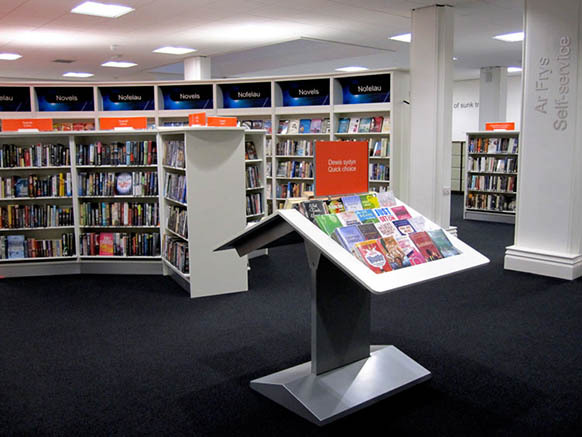 Along with fit for purpose shelving and display equipment to better promote book stock and increase loans. 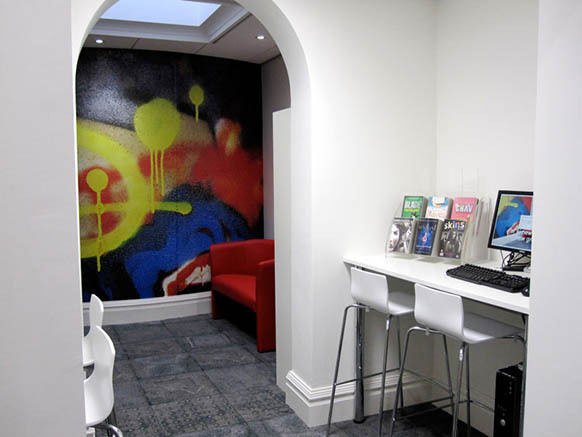 IT facilities have been improved upon with the creation of an IT suite, along with seating areas with access to power sockets in the floor and walls for WiFi users. 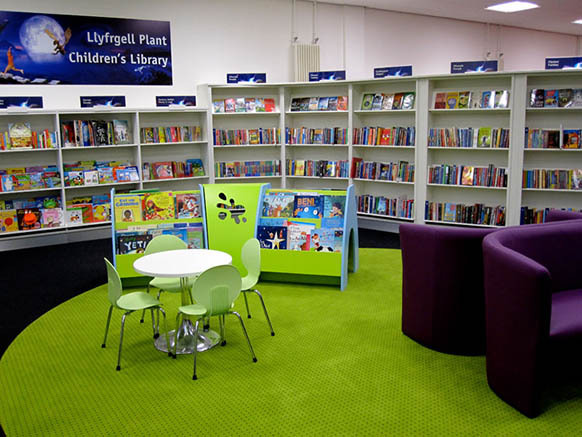 An improved family friendly children's area to accommodate popular story time sessions, along with baby change facility have also been created, along with an area for young people.